Don’t wait until May 2018. Your business needs to act now on GDPR. It is essential to plan your approach to GDPR compliance now and to gain ‘buy in’ from key people in your organisation. You may need, for example, to put new procedures in place to deal with the GDPR’s new transparency and individuals’ rights provisions. In a large or complex business, this could have significant budgetary, IT, personnel, governance and communications implications. 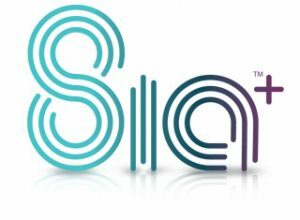 SIA+ (Security Intelligence Audit) is designed to establish your business IT security, where your key vulnerabilities lie and what poses the biggest challenges to your business-critical processes. Understanding the need for security and legislation, the SIA+ approach will highlight your key threat vectors whilst applying knowledge around legislation and regulations, ensuring that your business remains both compliant and safe. SIA+ provides a transparent security offering and forms part of your GDPR journey. At a fixed price point, the SIA+ package is competitively priced at £1,950.00 +VAT and carries no hidden costs. This checklist highlights 12 steps you can take now to prepare for the General Data Protection Regulation (GDPR) which we expect to come into force in mid-2018. 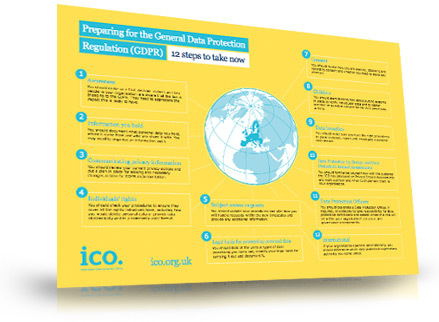 Download the “12 Steps to take now” created by the Information Commissioner’s Office (ICO). 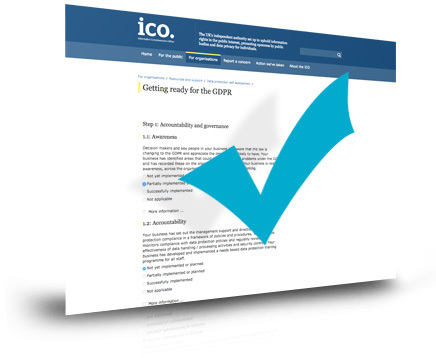 This online checklist provided by the ICO will help your business prepare for GDPR in May 2018. Answer 5 steps relating to GDPR and upon completing the checklist, the questionnaire will give you an overall rating and some suggested actions. ilicomm will guide your business through a 10 step process to move your business to GDPR compliancy. 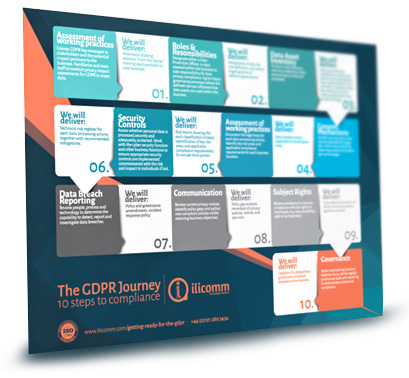 Download the GDPR journey planner to see the steps and deliverables. We may have an answer to that. Frequently asked questions about the GDPR.